You may not necessarily think of yourself of an alpha personality type however there is more to it than meets the eye. Alpha personalities come across as strong and independent; putting across an air of confidence and purpose in everything they do, and while many people possess these traits, its difficult to use them to your advantage when you don’t even realize you have them. Being an alpha isn’t about how you see yourself, it’s about how the world sees you. If any of these sound familiar, there’s a good chance you come across as more powerful than you think. Here Are The 10 Most Common Signs You Have An Alpha Personality Type. Most people try to sugar coat situations, you simply say it how it is. Many people won’t take kindly to this, but it doesn’t matter to you. You are honest and sometimes the truth hurts, but people need to hear it. The words you say have actual value. They aren’t just meaningless promises, they have purpose and you will follow through till the end. If someone tells you they will do something, you fully expect the same in return. Rather than sitting around all day telling people your lofty plans for the future, you’re out in the world making them happen. Talking about doing something is not worth it to you, you actually accomplish things. Quite the opposite actually, you love being alone. It’s a time for you to collect your thoughts and think about your life. You don’t feel the need surround yourself with others constantly. You have complete independence and self sufficiency. Even when its discreet, you can tell when someone is trying to control you. While some people who aren’t used to being stood up to might find you to be aggressive, you’re simply standing up for yourself. If you believe that something is right, you won’t let someone tell you otherwise. You have a strong moral compass and you are often on the right side of the fence. People will try to corrupt your beliefs, but you don’t let that happen. People who complain reside on a low state of consciousness. You are all about elevating the way you think about things, not seeing the worst in situations and people. If you’re around someone who is complaining, chances are you will stand up and leave. Believe it or not, many people do things because they want others to see them. You do what you honestly want to do, you could care less if anyone else approves or sees it. Pointless activities are a waste of energy for you, if it doesn’t bring you joy then you cannot be bothered. You recognize that while it’s important to realize how those around you feel, you don’t let the approval of others get in the way of your goals. You are not just concerned with impressing others. Instead you follow your heart and prefer to do what makes you happy, and if others don’t like it, it’s not going to stop you from living the life you want to live. You often take the lead when nobody else steps forward, it may come across as bossy to some but that is not your intention. You recognize that others should be free to make their own decisions; however, when a situation arises that needs leadership and you feel you know the right path, you don’t hesitate to take the reigns and point people in the right direction. 11. You Are A Dedicated and Hard Worker. 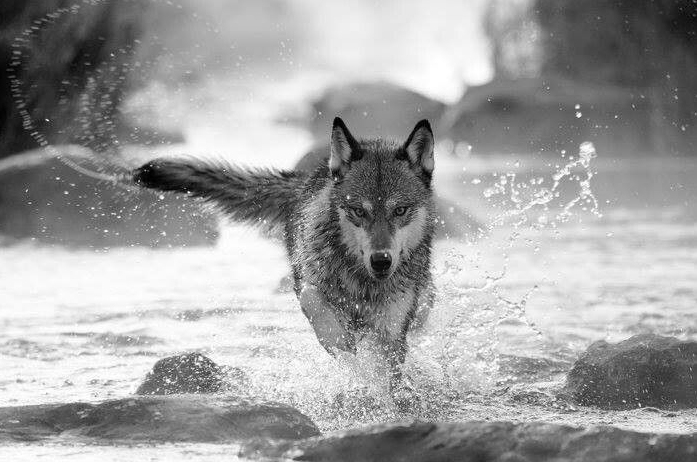 Being an alpha, you do what needs to be done to accomplish your goals. When you start a task or job, you get it done until you think it is perfect. There is no space for laziness in your world.